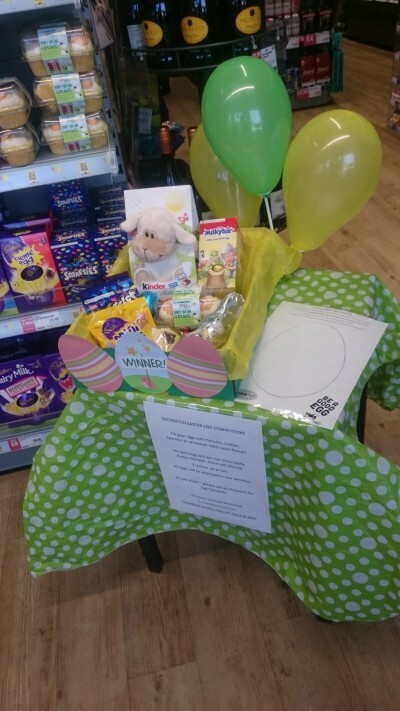 We have an Easter Egg decorating competition in the Co-op. Templates are £1, all money raised will be donated to the co-operative chosen charity of the year, The British Red Cross. 1st prize is a lovely Easter hamper and there are 3 runner up prizes. ← CAN ANYBODY HELP ?